What does it mean to do good to all people? What does it mean in our everyday life? I might be stating the obvious, but doing good starts with intending good towards others. Doing good starts with a posture of love – a willingness to value the people around you, starting with the individual you’ve agreed to have coffee with. Doing good is not about us, but them. It involves perceiving a need and praying about how to meet it, as well as we are able. 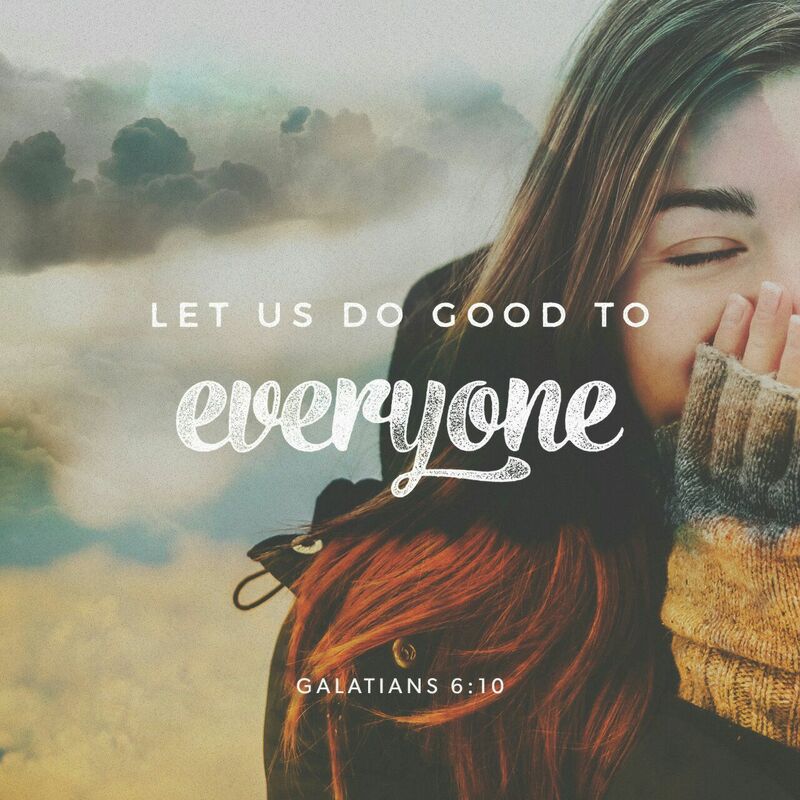 Doing good often involves connecting people with Jesus so they can see how he meets their need better than anyone. Start the day with prayer for the people you know you will come across that day – your parents, your boss, your spouse, your child… Lift them before God, individually, and ask for wisdom on how to love them best and show them Jesus. Look actively for needs around you on the way to where you’re going. Is there someone struggling that could do with some kindness? Could you act with integrity by picking up after someone else? Ask for the Holy Spirit to lead you towards opportunities to serve. Is there someone you haven’t spoken with in a while that could do with a text or phone call? Ask God to bring people to mind, then act. Plan out your week. Be intentional about acts of service both in the current minute and the days to come. Who will you see, how will you bless them, and how will you practice self-care so you have the strength to do it well? Ask God for joy in serving and the willingness to be served. Ponder how you can communicate your daily needs to others so they can have the joy of loving you in return. This isn’t always easy for those who love to give. But it’s more loving to allow others to love you than to hoard all ‘giving rights’! Previous Where does your strength come from? Thank you for sharing your walk of faith and these reminders! Listening for God’s whisper will also guide us to do His work and His way!